Housing trends normalize in Seattle as the tech industry fuels demand in Seattle and beyond. The last few weeks have given way to sensational media outlines that imply a downturn in the Seattle housing market, but are contradicted by sustained job growth in the area. 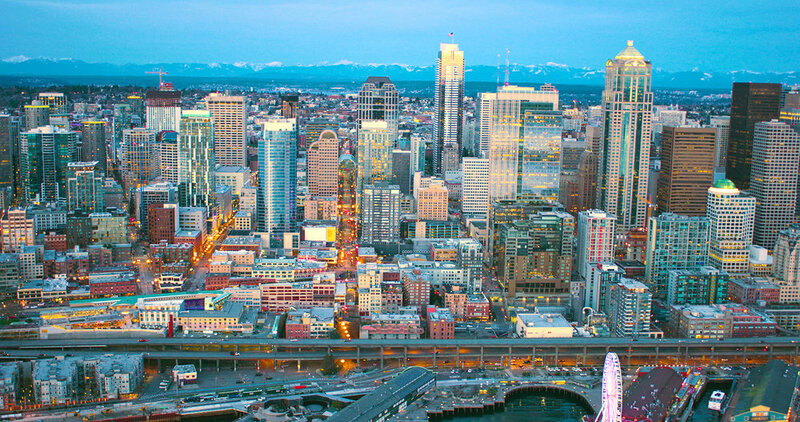 CBRE, a large commercial brokerage firm, recently released the Tech-30 Report, which put Seattle number one on the list, with tech jobs increasing 26 percent in the past two years. Colliers International Research, a peer firm, has tracked almost 6.5 million square feet of Class A office space demand in Seattle, noting that a staggering 66.2 percent of tenants are from the tech industry. This job growth and sustained economic activity will only increase demand for housing in the Seattle area. Since May, housing inventory across King County has steadily risen, yet reversed course recently. Increased buyer activity is strongest in areas close to urban job centers, where tech companies are generating housing demand, particularly at affordable prices below conforming loan limits. Pending sales in downtown Seattle grew by 43 percent from August to September 2018 (according to Northwest Multiple Listing Service data), which contributed to a 16 percent spike in closed sales in October 2018 over September’s stats. Though supply is increasing with resale residences and new construction offerings, 2018 will close out as a neutral market, rather than a buyer’s one. Jones says that when analyzing housing statistics on a month-over-month or quarter-over-quarter basis, the press finds provocative material for editorial, but that it doesn’t define the market. Regional economic fundamentals are led by tech employers and resulting job growth, which is increasing the population and precipitating trendlines for housing ahead. Amazon now owns twice as much office space as it did in 2016 and will repeatedly occupy 15 million square feet of office space throughout downtown Seattle with current commitments. Apple is expanding within Two Union Square with more than 70,000 square feet to office 500 employees (rumors persist that it is making offers on larger office space). Google continues to expand in South Lake Union (with five buildings either under construction or in planning), comprising nearly 1 million square feet of office space with occupancy expected by early 2019—the downtown Seattle campus could employ more than 4,500 people. Facebook has opened a new campus at 1101 Westlake, in addition to other leaseholds in South Lake Union, with current capacity for 3,000 employees. The social media giant recently applied for permits for Oculus expansion of more than 60,000 square feet of office space in the Home Plate Center near Safeco Field in SODO. It’s presumed the company leased all 124,000 square feet of the available space, but is merely building out the first half at this time with future plans to grow into the remaining space. F5 Networks has leased 516,000 square feet in a new office tower (now called F5 Tower) with an estimated 1,500 employees and room to expand. Excess office space is temporarily being sublet and attracting other employers. Expedia plans to relocate its Bellevue headquarters to Interbay (Seattle waterfront) in 2019 in what may eventually comprise 1.9 million square feet of office space for approximately 8,000 employees (recent indications suggest the company will moderate its growth in measured phases). Many Bellevue-based employees will either relocate to Seattle or face an arduous commute. WeWork Northwest continues to expand in the Seattle region and is eyeing a total of 2 million square feet of office space in the greater Seattle area with new commitments in the World Trade Center North building and a 36-story tower being developed in Belltown (this tenant is critical for future growth in tech as many startups are incubating in co-working environments). Martin Selig Real Estate just announced commencement on two speculative office projects without any tenant preleases at 400 Westlake Avenue in South Lake Union and at 1015 Second Avenue — combined, the projects will deliver 400,000 square feet of Class A office space by 2020. Information was obtained from sources deemed reliable but cannot be guaranteed. Reader is encouraged to perform independent due-diligence before relying on information contained herein. Puget Sound Business Journal Names RSIR Among the Fastest-Growing Companies for the Seventh Time!